One of the basic skills of philosophy is to try to combat your own cognitive biases by flipping situations around, i.e. : “putting yourself in the other guys’ shoes” or whatever you want to call it. It’s a skill Americans don’t seem to learn in school, which is why (I believe) we have a population that is ripe for turning into imperialists and believers in various forms of exceptionalism. By now, the establishment ought to be painfully aware that the FBI/NSA retro-scope is aimed at them, as well. Sometime in the next couple of years I expect a legislative backlash, especially if it keeps being used to take down friends of the high and mighty. 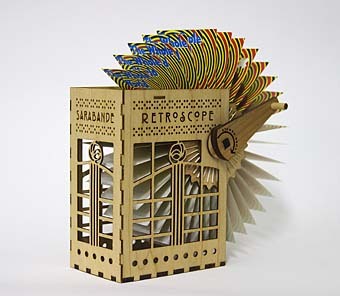 The retro-scope appears to now be part of the investigative procedure for any incident that has political implications. Because its time-horizon goes about -10 years (with some blurry images back to -20 years) the entire current crop of politicians grew up in a time before retro-scoping existed, so they do not fear the ‘scope, nor do they fully understand it. They will. One of my personal agendas in blogging here is to help people defeat the assumption that someone whose interests appear to be aligned with theirs on one thing, is aligned with theirs on most things. A month ago I stumbled over the fact that Dr James Mitchell had written a book. So I bought a copy.